KUALA LUMPUR (Feb 27): Malaysia’s task in propping up Asia’s worst- performing currency just got a lot tougher. The cost of options protecting against further ringgit declines approached a 1 1/2-year high on speculation 1Malaysia Development Bhd., the state investment fund, will need a bailout. The currency is already languishing at its weakest level since 2009 as the oil-exporting nation suffers amid sliding crude prices. A weaker currency is a concern for Malaysia because it pushes up the cost of servicing the second-highest external debt burden among Asia’s developing nations. Further losses in the ringgit may hasten an investor exodus from Malaysian assets and hurt the government’s efforts to rein in its budget deficit. The ringgit has tumbled 7 percent in the past three months, the most among 11 Asian currencies tracked by Bloomberg, and touched a six-year low of 3.6460 a dollar on Feb. 23. “Whilst the 1MDB issues remain unresolved, there could still be a long shadow cast on the ringgit,” said Vishnu Varathan, a Singapore-based economist at Mizuho Bank Ltd., a unit of Japan’s third-largest lender. The currency also suffers from “general concerns about fiscal risks,” he said. Those concerns are showing up in derivatives prices. The premium on options giving the right to sell the ringgit in three months, over those allowing for purchases, widened to as much as 2.36 percentage points on Feb. 23, risk-reversal data compiled by Bloomberg show. That’s approaching the peak of 2.45 percentage points on Jan. 30, which was the highest since September 2013. Mizuho cut its year-end ringgit forecast to 3.4 to the dollar on Feb. 4, from 3.35 previously. Strategists have struggled to keep pace with the currency’s slide, and the median of 27 estimates in a Bloomberg survey puts it at 3.64 by Dec. 31, just 1.5 percent weaker than Thursday’s level of 3.5840. HSBC Holdings Plc, last year’s most-accurate forecaster of the ringgit in Bloomberg Rankings, is more pessimistic after revising its year-end estimate to 3.75 on Jan. 30, from 3.57. 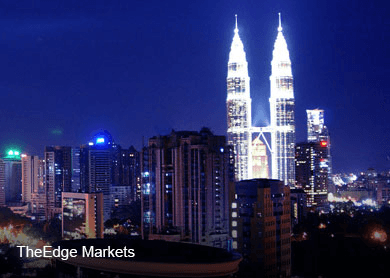 Bank Negara Malaysia Governor Zeti Akhtar Aziz told reporters in Kuala Lumpur on Feb. 24 that the ringgit is “undervalued” and should return to trading in line with economic fundamentals. In a sign the central bank may have intervened to support the currency, foreign-exchange reserves dropped 16 percent in the past eight months to a four-year low of $111 billion. A weaker ringgit makes it more expensive for the country to repay foreign borrowings. Malaysia’s proportion of external debt to gross domestic product is 54.6 percent, the highest among 13 Asian emerging markets tracked by Bloomberg after Sri Lanka and level with Pakistan. The ringgit started its recent slide in September, when a decline in oil prices gathered pace. Malaysia’s currency is particularly vulnerable to the 40 percent drop in Brent crude since then because of the country’s status as the sole net exporter of oil among Asia’s major economies. Energy accounts for almost 20 percent of Malaysia’s GDP. The damage wrought to the economy led Prime Minister Najib Razak to increase the government’s 2015 fiscal-deficit target in January to 3.2 percent of GDP, from 3 percent. He cut the growth estimate to a range of 4.5 percent to 5.5 percent, from as much as 6 percent. Global funds responded to the drop in the currency by reducing holdings of Malaysian government and corporate debt by more than 25 billion ringgit in November and December, the sharpest drop since mid-2013, according to the most recent data from the central bank. The weaker exchange rate, together with the loss of investment and oil revenue, may make it harder for Malaysia to achieve its target of attaining developed-nation status by 2020.